The internet has claimed yet another print victim as London-based MacUser Magazine, one of the oldest Apple-centric magazines in the world, announced on Friday that it would wind down operations following the release of its February 2015 issue. Launched in 1985, MacUser is perhaps most famous for inventing the "mouse" ratings system later popularized by MacWorld in the U.S. MacUser was one of the first titles created by late publishing legend Felix Dennis, who also founded men's magazine Maxim and music publication Blender. "MacUser has helped make Dennis Publishing the business it is today and has contributed to establishing us as the largest technology publisher in the UK," Dennis Publishing executive Ian Westwood said in a release. "The decision to cease publication of MacUser was very tough and one that was not taken lightly. Unfortunately, due to challenging market conditions, the closure was unavoidable." "I would like to thank the greatly talented editorial team, past and present, who have worked tirelessly on the magazine for 30 years as well as the MacUser subscribers for their loyalty to the magazine," he added. 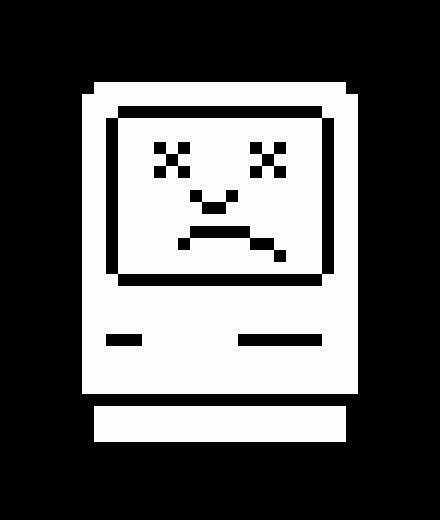 The MacUser team announced the closure with a Mac OS-style "sad Mac" icon. It is the second major Apple magazine to cease publication in the last six months, after Macworld closed its doors last September.